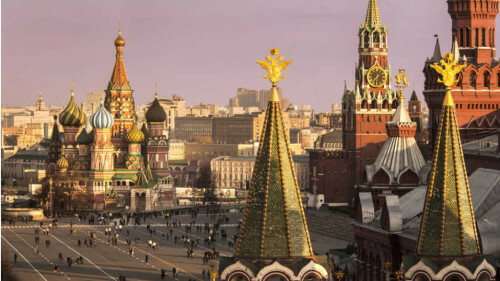 The luxurious Four Seasons Hotel Moscow is located just steps away from the famous Red Square. Originally built in the 1930s, Hotel Moskva had played host to several key historical figures and was the unofficial home base for the Soviet Union’s political and cultural power players. Now, after years of being shut down, it has opened its doors once more, as Four Seasons Hotel Moscow. 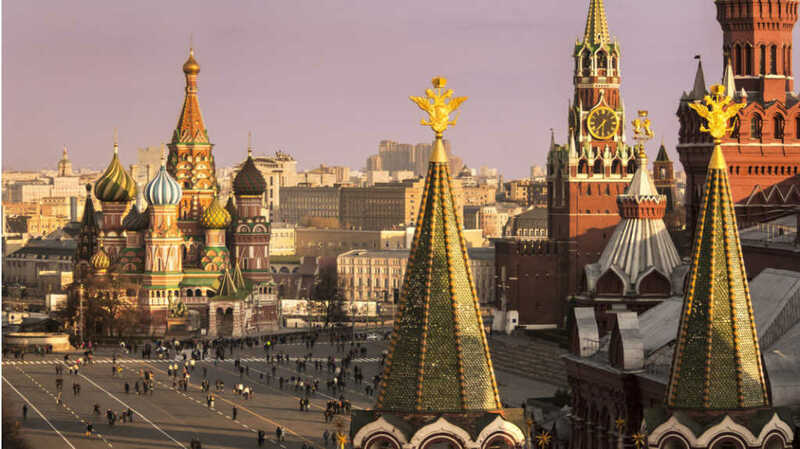 Located on the on Manezhnaya Square, Four Seasons Hotel Moscow is just steps away from the Red Square, the famous St. Basil’s Cathedral, the world renowned Bolshoi Theatre and prestigious GUM shopping complex. Interior designers Richmond International have given new life to Hotel Moskya, keeping in mind architect Alexei Shchusev’s original vision. The hotel’s exterior façade has been meticulously replicated; a birch motif is woven across the interiors, and echoes of the past are reflected in its decorative details. The spacious 180 rooms and suites in Four Seasons Hotel Moscow are naturally lit by floor-to-ceiling windows and many include step-out balconies. The rooms are replete with modern comforts such as the fully customisable Four Seasons Bed, iHome docking stations, media hub with international socket options, high speed internet access, and an iPad in each room that allows easy access to in-room dining, Spa appointments and more. The marble bathrooms include separate showers, and custom amenities by Roberto Cavalli. 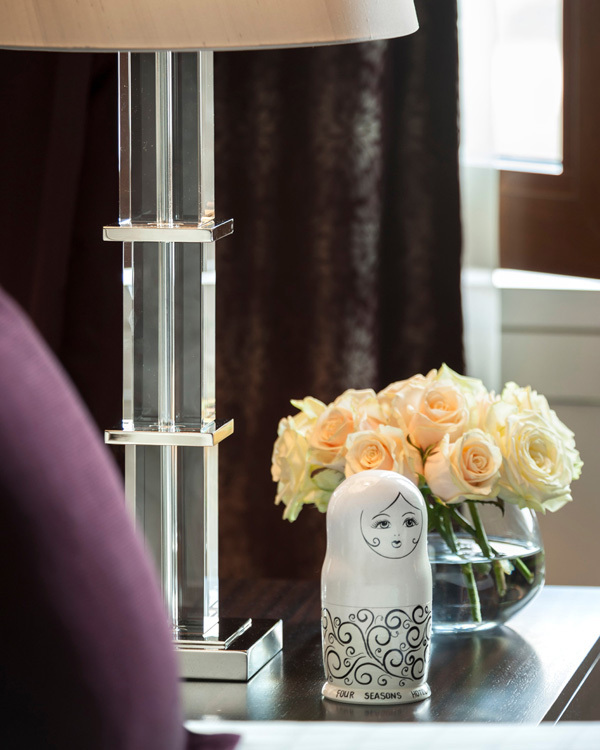 Four Seasons Hotel Moscow provides business travellers with in-room conveniences such as ergonomic furnishings, large working desks, Nespresso machines, and high definition televisions that swivel to show a mirror on the opposite side when not in use. The hotel has a multi-lingual concierge team and along with the 24-hour business centre, guests also have access to their fleet of BMW 7 Series house cars, each equipped with complimentary Wi-Fi and an iPad. Four Seasons Hotel Moscow has a special treat for children in store. Each child is gifted a matryoshka – Russia’s beloved wooden dolls – in blue or pink colours that they can also paint themselves. The hotel also welcomes small pets. The signature dining experience at Four Seasons Hotel Moscow is Quadrum, an Italian restaurant featuring changing seasonal menu of authentic regional pasta, carne and pesci accompanied by a deep wine list. Not to be missed is Chef’s Russian spin on an Italian classic, the caviale artisan spaghetti imported from Naples and served with a choice of salmon or osetra caviar and chives. The glamorous Moskovsky Bar at Four Seasons Moscow offers classic and signature cocktails featuring premium brands like Beluga vodka, Derevensky Samogon spirits, and of course Stolichnaya, whose bottles depict the Hotel’s famous façade. An intensive list of single malts heads up a whisky lover’s dream selection of Irish, American, Canadian and Japanese labels. The relaxed elegance of Silk Lounge in Four Seasons Moscow is the perfect setting for light meals. Highly recommended are Pastry Chef Raffaele Grasso’s signature sweets, which are a highlight of the Silk Afternoon Tea. 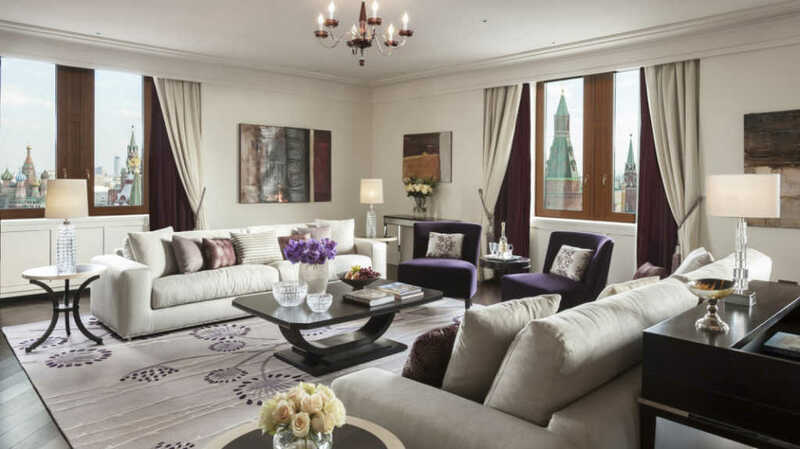 To welcome its first guests, Four Seasons Hotel Moscow is offering a Stay Longer – Third Night Free package, as well as a special Bed and Breakfast rate. Find out more about these offers here. Tagged LifeSpice, Luxury hotels, Luxury Travel, The Good Life. Bookmark the permalink.